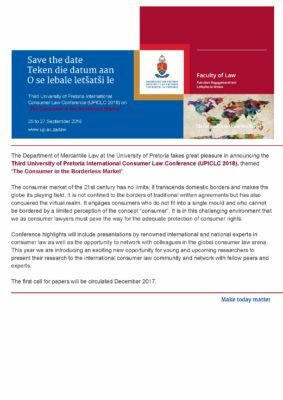 The Faculty of Law, Stellenbosch University and KU Leuven are excited to announce the first International Conference on Consumer Redress to take place in Stellenbosch during April 2018. The purpose of the conference is to discuss various local and international consumer redress mechanisms, including alternative dispute resolution methods and class actions, as a means to resolving consumer disputes. It is envisaged that the conference’s comparative approach will assist in the development of local consumer redress mechanisms within the context of the emerging African consumer market. While tremendous gains in financial inclusion have already been achieved, digital financial services, together with effective supervision (which may be digitally enabled), are essential to close the remaining gaps in financial inclusion. Rapid expansion of digital financial services (DFS) is driving the growth of inclusive finance. A new generation of DFS is emerging based on scalable and innovative business models that target the bottom of the pyramid- the most difficult to reach communities. The IACL will hold its 17th biennial conference at Indiana University, June 13-15 in Indianapolis, Indiana, US . 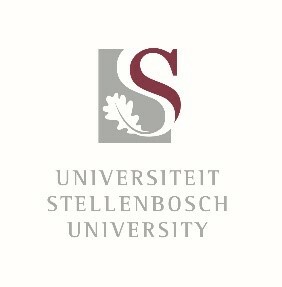 The theme of the conference is Innovation and the Transformation of Consumer Law.